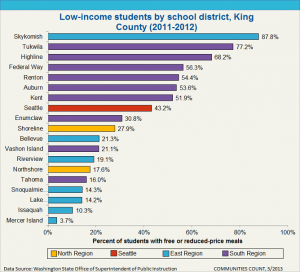 A large percentage of young people in King County are poor or low income: over 40% of students in Seattle Public Schools are in the free or reduced lunch program, and in most South King County districts that number rises to over 50%. The parents and guardians of these youth are already struggling to make ends meet. They shouldn’t have to pay $1.50 per ride, or $54 per month, for their children to get around. Students march to City Hall to demand affordable transit. In 2015, TRU organized with students and educators at Rainier Beach High School, and together we won $1 million per year to fund transit passes for low-income high school and middle school students! This City of Seattle-funded program went into effect in 2016, and TRU continues to work with students and educators to improve and expand it. 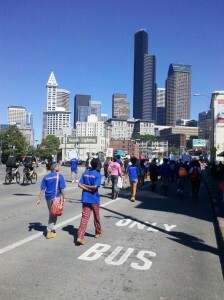 We believe that all youth in Seattle and King County should have year-round access to public transit. Enabling young people to travel freely to school, activities, and jobs will help to close the opportunity gap, break the school-to-prison pipeline, and combat climate change by increasing public transit use. We can win this, but it will require a strong and united community effort to secure cooperation between the city, the county and the school district to get it done. 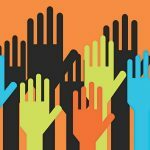 We are seeking students, parents, teachers and community supporters to help us move this project forward. Get in touch!